If you didn’t know already, I’m a little bit of a nail polish addict. 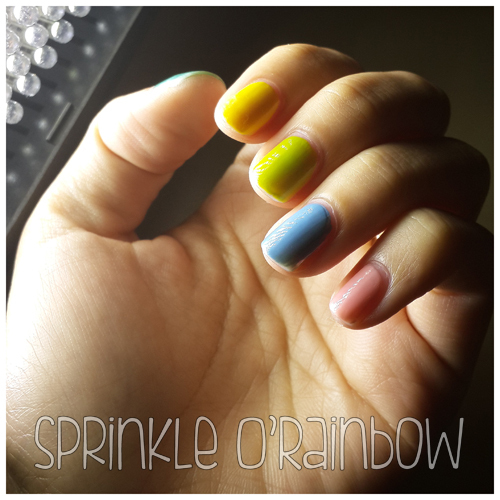 When there’s colour on my nails, I look at it and I feel happy. I especially feel so happy when I put nail art on them myself. 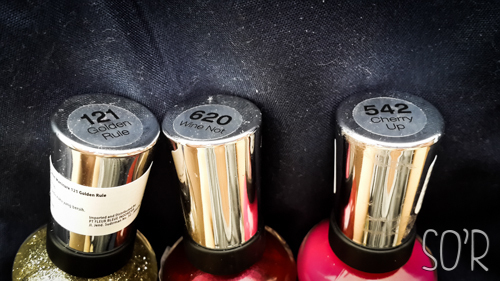 Recently, it has come to my attention that there’s discount nail polish in the city (Perth city to be exact). This is thanks to Cindy from Rose Gold Whimsy. So we decided after our little trip to Harbour Town, we would continue our “outing” to the city for some lunch and to check out the discounted nail polishes Cindy mentioned – Gloss Accessories. Voila! 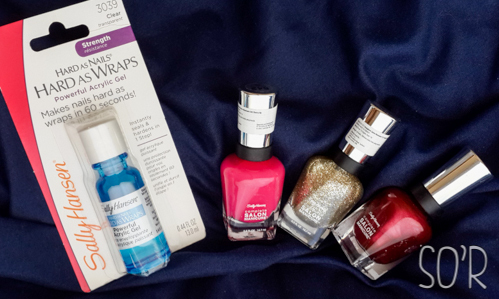 There were Revlon nail polishes, 3 for $12 and Sally Hansen nail polishes at 3 for $10. I’ve been using Sally Hansen’s top coat and base coats for a while now (maybe 2 years?) and I love all the ones that I’ve tried. 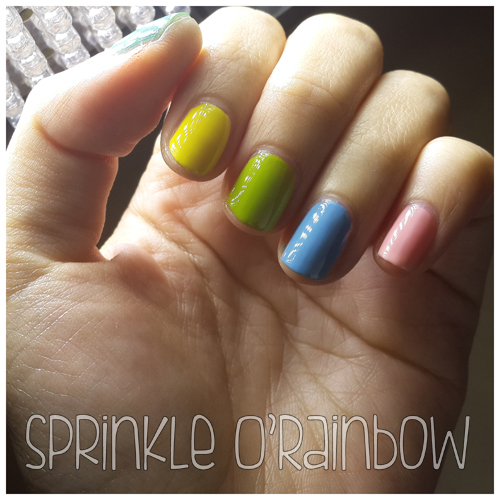 Sally Hansen’s colour polishes on the other hand, I haven’t really tried with the exception of one from their Xtreme Wear line in “Flirt”. With Revlon nail polishes, I bought some (more like a lot) a few months ago for just over $2 from an online discount store. So I decided to go for Sally Hansen. I shared this deal with Cindy – I bought 2 and she bought 1. I got a Diamond Strength No Chip Nail Colour in number 30 “Lilac Chantilly” and a No Chip 10 day nail colour in white tip. I also got this Sally Hansen Insta-Dri Speed Dry Drops which I have yet to try for about $6 which I think is a STEAL as they are normally around $10-$15 at drugstores. I still don’t know how to use white nail polish properly – either that, or white polish is always streaky, or this one I got is really bad. But I love the Lilac Chantilly colour – which is a light purple colour, as suggested by the name and the picture. The Insta-Dri Speed Dry Drops was interesting for me to open. It came with a lid and then the pipette is in a separate sealed plastic. I am excited to try this. In fact, I will try this right now. 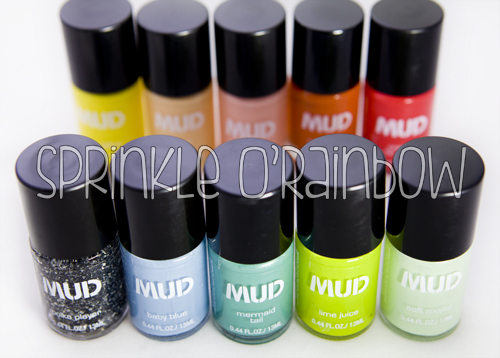 It does say in the bottle to “Apply base coat, nail colour and top coat. Wait for 60 seconds after applying top coat. 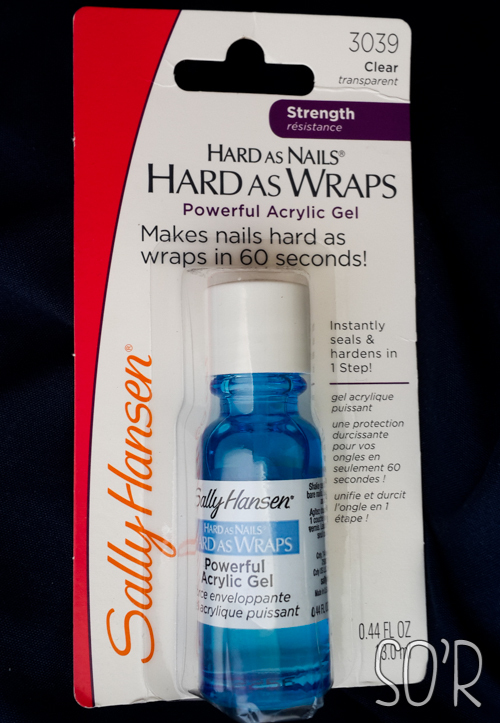 Apply 1 or 2 drops to each nail.” I may be back with a review of this. So that was all I got at Gloss. I’m not that into make-up so I didn’t even really look at the make-up there. 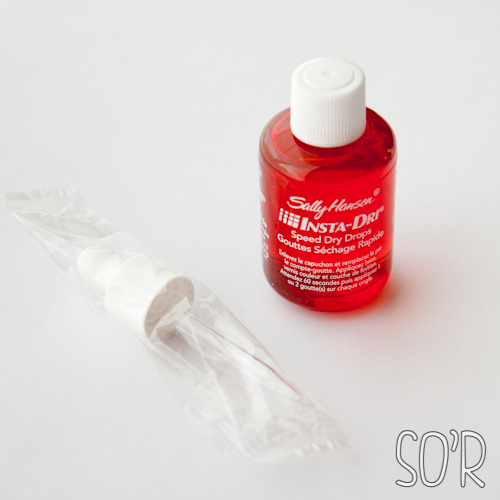 Have you used the Sally Hansen Insta-Dri Speed Dry Drops before?